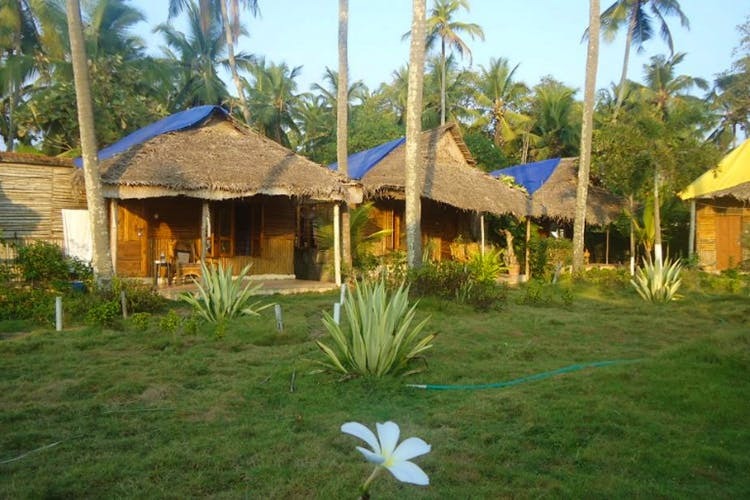 Spend your time in plenty of sun, sea and sand at the Bamboo Village huts in Varkala. The huts are affordable, close to the beach and even pet-friendly. Looking to have yourself a beach getaway sometime soon? Bamboo Village's cute little settlement of bamboo huts with thatched roofs is where you should come to live the nice and easy life. The property is very close to the beach and you know what that means. Sun, sea and sand! So don’t forget to pack those swimsuits and sunscreen. It's perfect for all you beach bums as the bamboo huts and the hammocks around are giving us major beach vibes. And the fact that the tariffs currently start at a mere INR 500 a night is a huge bonus. With sea-facing and garden-facing rooms, expect a great view regardless. They have twin rooms as well if you want to tug the squad along for a beach vacay. And their single rooms can have double beds if you prefer, so this is a perfect spot for bae-cation and it’s a good idea to come here with the S.O for a romantic beach getaway. And did we forget to mention that this place is totally pet-friendly, so bring the pooch along at no extra cost. There’s a library and a garden terrace on the premises as well convincing us further that this is where you need to be to break away from the fast-paced city and live the simple life. For an authentic seaside experience, we suggest you skip on air-conditioning and opt for their non-A/C rooms that let the sea breeze roll in bringing the salty summer air along with it.